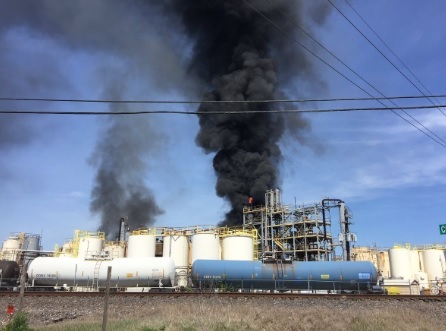 Smoke coming out of a Crosby chemical facility where a fire broke out on April 2, 2019. 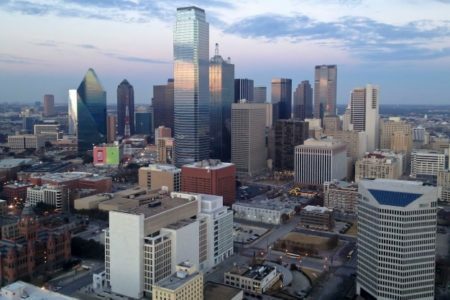 The Harris County Fire Marshal’s Office (HCFMO) says the fire at a Crosby chemical facility has been extinguished. HCFMO investigators are on scene conducting interviews and investigating the exact point of origin and what caused the fire. Crosby is about 25 miles northeast of Houston. Fire is extinguished. Fire fighters continue to monitor the scene and extinguish hot spots. 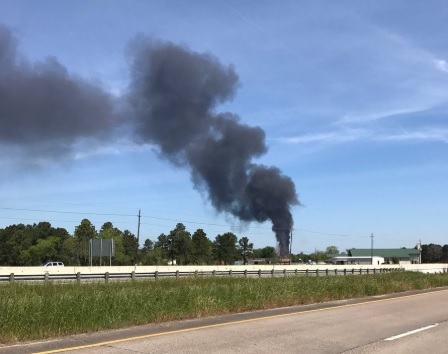 A smoke plume is seen in Crosby where a fire broke out at a chemical facility on April 2, 2019.